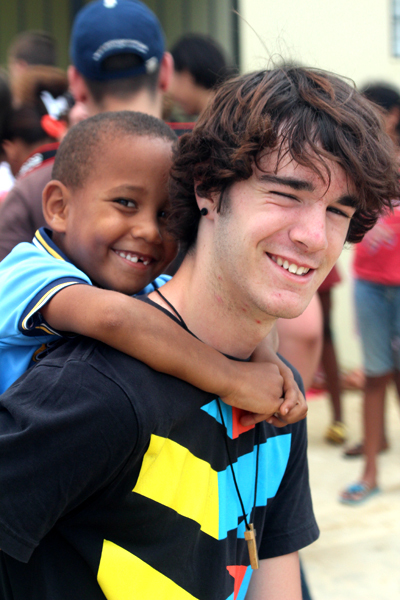 I?m doing a whole post on Esperanza because it is the Village that has really captured our hearts as a family. There are dear, dear people here that we have come to love. It?s amazing actually how difficult it is to really care for people and not be able to communicate. 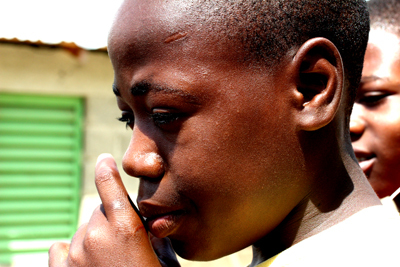 Communication is especially difficult in Esperanza because it is a Haitian community. The language, therefore, is a real mix of Creole and Spanish ? neither of which we speak well. The nice part is that Creole has a good part of French in it ? so we try with that mostly. Esperanza is formerly the Batey of Algadones. A batey is residential area on a plantation. In this case, the plantation is sugar cane. Haitians come to the Domincan Republic seeking a better life and mostly come to cut cane. There are many issues surrounding the sugar cane industry ? There is a great Documentary called, The Price of Sugar, which raises some of the issues in the treatment of workers in the sugar cane industry, however, the biggest issue for the Batey of Algadones is that no cane has been cut for the past 6 years. So whatever inequitable wage the Haitians were making before ? they are not even making that now. Clarity moment ? I took some footage this morning of this elderly couple in Algadones, I?ll try and edit and post later ? this couple moved to the DR in 1986 ? 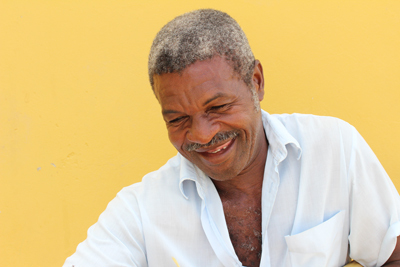 he told me through our interpreter that he was making 60 - 100 pesos a day cutting sugar cane. That?s about $1.50 - $2.40 I?ve heard numbers ranging from 50 pesos to 400 pesos a day. Even 400 is $9.93 a day. So the price of our sugar depends on paying people a very little amount per day. (pause?this is complicated, very complicated, I understand that?.however, I am growing to think more and more that the fact that things are complicated is no excuse to abuse people and take advantage of their poverty.) The folks I spoke to this morning can?t cut cane any more because of sickness and age, however, if they could they would, because 90 pesos a day is more than they are getting now ? which is no reason to pay them only 90 pesos. The Village of Esperanza is a relatively new Village constructed of concrete block houses with concrete sidewalks, water is available every 4th house in the rear and each house has a toilet. This is an incredible step up from the previous situation. The people of Esperanza now have a church, a school, a clinic, water, sometimes electricity, and in general are in a better situation for shelter than they were previously. What they still lack is work. There have been attempts to create some shops, the shops mostly rely, if not entirely, on visits from church and mission groups. I?m not sure what the distribution of these items are, and they are worthwhile undoubtedly, but they won?t feed a Village, so there are some things to consider on a larger scale there. Apparently there is about a 30% rate of AIDS to add insult to injury. It?s a tricky spot, but it has found it?s way into our hearts. I?m falling asleep these days trying to figure out how to deal with their garbage, currently we?re constructing a big concrete pit to burn it in, but in my spare time I?ve been reading about the toxins released into the atmosphere when you do that especially with plastic and thinking about our new friends there breathing that in and the additional health complications that will add to an already hash situation. I think the reason that this place has found a way into our hearts is the same reason any place does ? the people. We?ll add some more as we can take them of these great people! Well we hit the half way mark and we?ve only posted twice ? which means two things?. 1. It is so hot here that my forearms stick to the desk everytime I try and write something?.which means I don?t want to write anything. 2. We are really busy! I figured I?d post some pictures though and keep you updated even a bit ? so I am braving the sweaty forearms for this post! After our last post we had Kevin visit us from the West Coast ? Kevin is my oldest friend, I think I?ve known him since we were about 1 ? so that?s a time! We had a bit of a slow week that week as there was no team here ? so we moved all the machinery from a wood working shop in the Village of Acension to a new shop in Paradise. This is really exciting ? in fact it is one of the projects I?m most excited about here. The shop in Paradise will be used as a vocational training school along with two other buildings which are being constructed right now. The two new buildings will be for sewing and hair/ salon. Very cool. Cool because my mind is spinning with thoughts on how good development should break the cycle of poverty not just make it more palatable. So one of my responsibilities is to try and set the wood shop up before we leave and get it sorted out. As part of that chore I will be working with a new friend. Not sure how to spell this name, but Biavince is a Haitian who has been working with the Foundation for about 6 years I believe. Great guy. I?m really excited about this project. Once the shop is set up I?m going to be sourcing donations from friends and co-workers in Canada to set it up with items that it is missing ? currently I can already tell that we need the following ? 1.	compressor ? nail guns, staplers etc? 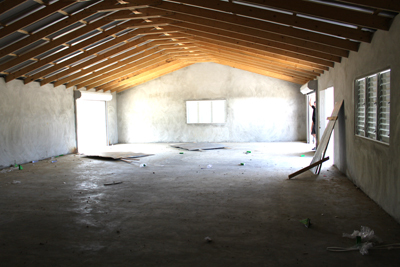 Here is a picture of the shop just before it was painted by a Mission Direct team from Brixton in the UK ? Then on Wednesday we went with John for an epic bike ride on the island ? 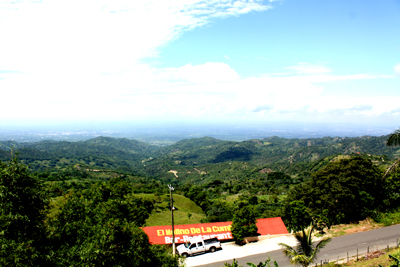 We rode halfway to Santiago and stopped on the top of a mountain range at La Cumbre and ate lunch ? we then headed home because I had managed to get the front tire of my dirt bike caught in a hole and had cut my knee?.pretty badly it turned out ? right to the bone! So I road the rest of the day, went to the clinic and they informed me I need surgery to cut the flesh back to a healthy spot and then sew it together?oh and that at some point in the past I had broken the top of my tibia bone (didn?t know that?!) So?the next day ? general anesthetic, and new skin all sewed up on my knee?and I?ve been hobbling around for a week now. Not sure if you want to see the before pictures?so I?ve posted the pics with it sewn up! Jiah and Caleb rented scooters too (150CC!) and did great, 8 hours of riding on streets, crazy traffic and only once did I think I was watching my son crash to his death! They did awesome! This week we have Derek and Lindsay here (Derek is Kevin?s brother?and I?ve known him since he was born?so this has been sweet reunion too!) We?ve also had Marilyn from our church in St.Catharines here. It has been a great week so far ? really hot which is taking it out of us ? but lots going on. We have a team from England here this week and next. They?ve painted the entire vocational school in Paradise and then today we moved up to Esperanza where we are working on 4 specific houses that they have sponsored and two other houses, one that we have sponsored through our fundraiser and another through Lindsay?s public school! Really neat! It has been hard to keep the teams working in this heat though ? no question, hard to keep me working too! We?ve been just working the mornings and then heading out to get stuff set up for the next day etc? We?re getting the juice program set up for the team tomorrow too ? so lots of fun. It is going to be very hard to leave here. Very hard. Today was a fun experience! We were at the beach for about 3 hours. We had our first fried chicken and fried plantains - yum! We bartered with the beach merchants who don?t let you go unless you buy something even if it?s only a few hundred pesos. I got my hair braided ? not a fan, oh well, had to try it! So, how are we 3 days in? Ummm, pretty good! The house that we have is amazing to DR standards and with some TLC would be a beautiful N.American beach house! Consequently, our first day and night here we suppressed our heebee-geebees and upon waking up Chris promptly got the bleach out (can you believe I forgot Benefect?!!!) and dismantled the cupboards and picked off all the pinkish-white furry mold and wiped them down. I cleaned all the dishes. Phew, that felt better. Now we can cook and eat in confidence well, more anyway. On that note, the mangoes are incredible here! The kids are doing great, maybe getting a bit bored. Caleb is chomping at the bit to do SOMETHING, Chris too! But it?s been good to have some down time to switch gears, observe, absorb. Grace and Caed love their little jungle they have in the backyard. We have bananas, limes, coconuts, passion fruit and pineapple growing back there! Fun! Thank God for the swing too, Caed and Grace love just swingin? away. They have named the neighborhood dogs (that bark a lot! Like 5 mins straight in the middle of the night!) and every gecko they find and the cat that appears to have come with the house. Grace has mentioned a few times that she wants to go home, ?why do we have to be here for 6 weeks??. 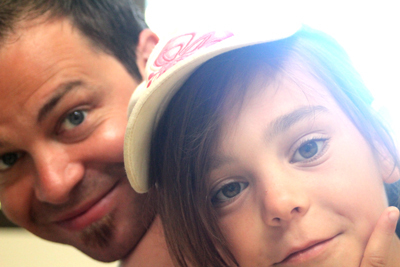 She?s scared of the spiders and I?m sure just feels out of sorts. Josiah found a stash of machettes and was a fruit ninja for a day. Anna and Josiah have been doing a lot of reading and Caleb has been trying to find shade and a cool breeze. We are sweating but it?s not as hot as I thought it would be, there does tend to be a nice breeze most of the time. A team of 25 arrived from Texas today and we?ll be joining them in their work (and fun!) here. Our 3 older kids went on a day trip with them to ride the ?27 waterfalls?, they loved it!!! Yesterday afternoon was a turning point for the kids, especially Grace! 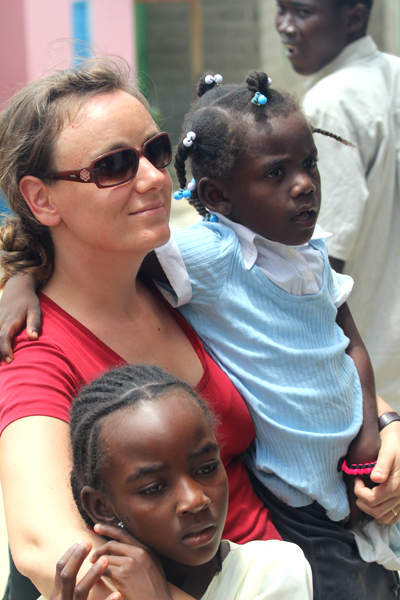 We had a great time at Ville Esperenza (A Haitian Village)! We attended the dedication of three houses that a team from England helped complete which was very touching. Two houses were for young Moms with babies and another for a family of three (and now with the house they can bring their 2 other children over from Haiti!). As you can imagine the little kids flocked to us and held out their hands to be held which we gladly did. I had the cutest little 2 year want ?up?. So up she came! Caed, Grace, Anna and Jiah all had kids cling to them too! It was awesome! Jiah had little underwear-less boy cling to him and want up! And up he came! Impressive eh? It was cool trying to talk to the kids as they speak Creole. So they understood a lot of our french questions! Anna was loving actually having a reason to use her A+ french skills! On our way home Grace said that now that she met the kids she wants to stay! Yay! 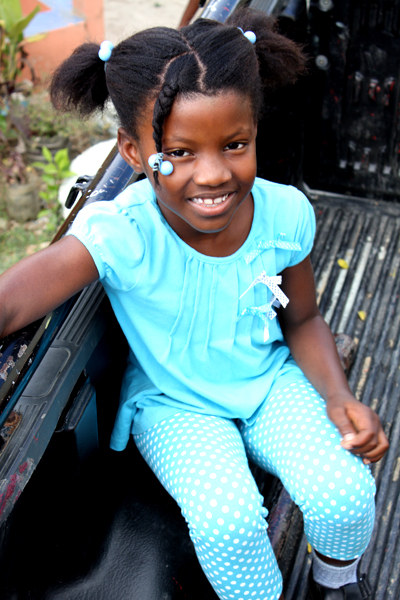 We experienced our first Haitian church service on Sunday (3rd) - it was beautiful! I could really sense the Holy Spirit there and man, do they sing!! We had a 2 sisters sit with us, Anna Christina (8) and Anna Bella (3) and Anna Christina fell asleep on Chris and little Anna Bella sat like a little angel on Anna Joy?s lap chewin? her gum with her cute overbite for the whole service! Needless to say, they both have found a spot in our hearts and we look for them every time we visit! Don?t worry, we?re not bringing them home with us, they have a Mom, a Dad, a Grandma, a sturdy house with water and power and food everyday, they are happy with their world! Monday and Tuesday (4th and 5th) were great! We spent both days in Villa Esperanza with the Hatian people. We?ve gotten to know a handful of the kids by name and really enjoy hanging out with them. I?ve had my hair braided by sweaty little hands a few times! 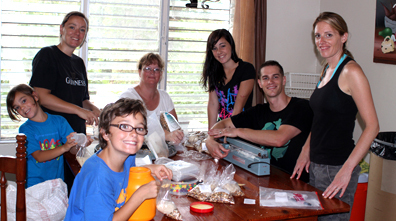 Grace has played with lots of kids, washed mangos and put them out to dry and scooped dry soup into smaller bags. Caed has carried around tons of toddlers and helped with the mangos, Anna has dispensed meds at the pharmacy (! ), played with kids and learned how to accept, ?tu es muy bonita? (you are very beautiful) from many a boy! Josiah helped paint a new school, helped package individual dry soup bags and paid his dues for all those years that HE was the little boy tackling the big boy - the little boys love him! Caleb was recruited to make cement and continue the walkway in the village and quickly made friends with the Samaritan Foundation pick up driver, Hermes, and did errands with him including getting him out of the ditch on the CRAZY stone road to the village! Chris is a team leader at Villa Espernza (the Haitian village where we have been most of the time) making sure the new jewelry shop gets painted and set up ready to open! And I have been helping make 250 sandwiches for the kids snack program, helping with the dry soup packing, holding kids and helping hand out the kids snack. Kids 3-12 come to the village church for a songs and a story, a super quick craft and then on the way out they get a cup a juice and a bag with a sandwich, a mango, cookies, a hard boiled egg and a treat. Sorry this took so long to get posted ? We?ve been processing and adjusting. Thanks for visiting our blog and showing your support in this way! We appreciate your prayers and love! We?ll try to keep these posts up! So week one here has been incredible. I know we?re almost at week 2 but be patient. It is so hot here my brain doesn?t work as fast! I would say that our first week is a week of contradictions, the incredible beauty of this place contrasted with the incredible poverty. To be honest, I have had so many thoughts over the past days since we left Canada that several times I have gone to write and then been left feeling as if I am writing useless drivel. I am overwhelmed most days with the complexity of it all, how does the price of sugar in the world impact these people we are growing to love? How does the fact that they live on so little and I live on so much, square with God? How does the global currency exchange impact the buying power of an impoverished Dominican and also impact the buying power of a Hamiltonian living on minimum wage at Barton and Sherman? If my trip with my family here cost the same as 2 years worth of the salary paid to my night watchman ? is it worth me coming? What do I have to offer to a nation whose language I can not even speak? Do I think I am better than the people we are working with...is that it? Now don?t get me wrong, in between all these intense questions?we?ve been absolutely loving it. Every bit of it, and there is LOTS to do! We?ve made some great friends, met some excellent people who give their lives for the people of this great country, and have done some work already! We?re figuring out this culture a little bit, thanks in large part to John Huizinga and his wife, Jane. They are amazing. John is an absolutely amazing man who genuinely loves these people and who is respected immensely by them. We are very grateful for their hospitality. 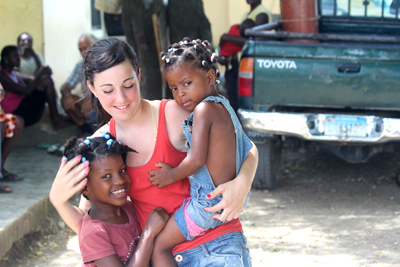 We?ve spent a lot of time in Villa Esperanza which was a Haitian Batey called Algadones ? and has been transformed by The Samaritan Foundation into a beautiful little Village with a school, medical clinic, church and many little houses. These people are incredibly poor. We did a food distribution program and the bag of rice and beans, etc?that they were able to get through the distribution was for some families 2 weeks worth of food. Right now a lot of my thoughts have been turned to how to break a cycle of poverty in a country that?s unemployment rate tops 14.4% (the highest in the Caribbean, and doesn?t even include any of the Haitians who have no papers?which is apparently about 70%...so that number might as well skyrocket in the Villages we?ve been working in to over 50% some say) It?s interesting because those questions are obviously being asked by people who have been here a long time and who are much more versed in international development, but I am surprised because there doesn?t seem to be much progress in that regard. Perhaps because of a legal system that is very complex and highly discriminatory, perhaps because those kind of changes are harder to get support for. So ? those are my thoughts. Lots of them! I know they are not new thoughts ? I know that my questions are like the questions of a freshman or an apprentice, so I put them out there only because these are the things that I am ruminating on. 2. Not to allow the questions to distract you from relationship where the power of God moves. Food comforts the body, but if I really believe my faith is real, the Spirit will comfort the soul and that is far more powerful. In the midst of this we also are enjoying this beautiful country ? so I give you a few pictures to temper my philosophical and ideological ravings! June 10th, Community Centre Niagara on the Lake - $25. glass of wine, nibbles, and great live entertainment. All going to support our trip to Sosua in the Dominican Republic this summer! If you've been keeping up on the blog - we're headed to the Dominican this summer for just over 6 weeks, all 7 of us, minus dog! We need to raise our own support and want to bring some funds to build at least 2 houses. If you can help we'd love you too! Come to the fundraiser - support online -link coming soon for donations. I often end up saying this to myself when I am working on something, be it building or management or even teaching. There is a quote from Mien Kampf that says, "what luck for leaders, that men do not think." Wow. Duany is a bit of a hero around here, because it was him and his firm that design "the Village" where I have worked as Site Supervisor and Project Manager for almost 4 years. 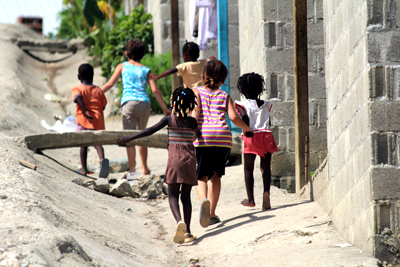 Rebuilding Haiti from Marvin Joseph on Vimeo. Back to work, back to those nagging feelings grabbing at your heels, back to the what if?s? There are a lot of questions returning from the Dominican. Lots of ruminations as I flew. Big questions like, ?how can we break this cycle of oppression for a people who have no sense of dignity and personal worth and no aspirations at all. Even to keep their 10x10 concrete home clean or grow food for their families? to little questions like, ?I wonder if we?ll be able to get good internet to communicate home,? to big questions like, ?should we live in a 10x10 concrete hut because the people we are trying to work with live there,? to ?should we live in the house provided because we can likely engage a bunch of visitors over the 6 weeks that may engage the ministry and engage people in need like they never have before?? Lots of questions. Not too many answers to be honest. So ? I?m going to keep thinking here on the blog, because it is helping me, and we?ve received some good response to my thoughts on this ? but be forewarned, I?m not sure where this yellow brick road leads?.because it was abundantly clear these three days that ?we?re not in Kansas any more!? First ? Thank you for your concern the couple people who have worried about us abandoning jobs and leaving. We love you for it ? however, let me also address a concern that has been brought up at least twice and therefore I imagine is thought by many more ? we are not going to the Dominican Republic as some sort of crazy response to Rob being taken home. The process of changing our lives to challenge our hearts to live by faith, to use what strength and love we have to make the world different, and to seek after Jesus with all our heart no matter the consequences was minted long before Rob was promoted to glory. In fact, it was what made Rob and I such dear friends. So?for most of you, none of your darn business?for our closest community of friends?well you weren?t really worried anyway... were you? OK ? 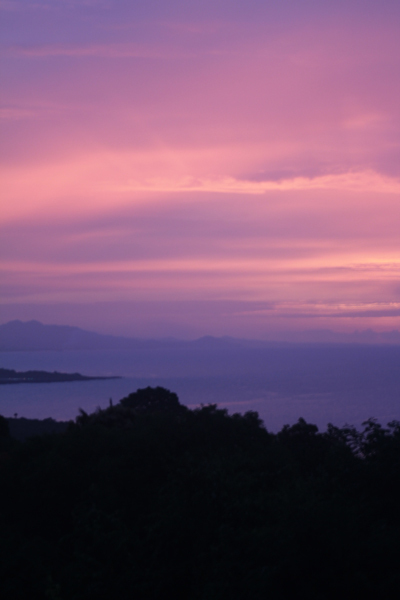 so here is what I saw in the Dominican ? The slums as I said in my last post were pretty much the same as everywhere ? what I found intriguing and upsetting was walking the Villages that are a few years old ? Samaritan Foundation has been doing work in the Dominican for 22 years building houses and schools and clinics and church buildings, so there are some that are fairly old ? there is a marked difference between Haitian villages and Dominican Villages. Marked. Part of this is because of the local racial hatred towards Haitians. Garbage pick up is sporadic, water is sporadic, electricity is sporadic and then you move on to a Dominican Village right above the Haitian one and it is completely different. This is difficult for me mostly because it seems that there is a cycle that is not broken by having a better living situation. 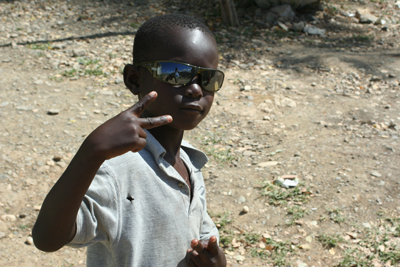 There are people here working with the Haitian Villages who are remarkable ? but in their desperation are pulling their hair out. Example ? I met a woman named Maria ? Italian lady, perhaps 60. She apparently has a mansion in Haiti, owns part of a well-known chain of hotels in the United States, and a 300-seat restaurant in Florida. She has money. She has worked in extreme poverty all over the world, and I mean worked. When we came to visit her, she was in a field using a pick ax to break up the ground for some plants she was importing from Thailand for a Haitian Village that clean water as they grow, and their leaves make furniture and cloth ? she was planting them, and vegetables and fixing a shower cube and working like a dog ? and furious with the Haitians! She said, ?these are the most difficult people I have ever worked with, they don?t care, they don?t want to work, they would rather destroy what I do then work to put food on their own tables.? Context ? this is a very poor Haitian village ? there is a feeding program, there is a clinic and a school, there are real, real issues here. Maria is not ignorant of this kind of life though ? and she has offered her life for people in this state all over the world. So what do you do? The Haitians who are foiling her work say she doesn?t respect them ? interesting how social fabric almost is more important that physical fabric. My friend Leah has some thoughts on that and we?re going to talk about them. Alright that?s enough to chew on tonight ? you can see how this gets complicated very fast ? and how one could just say ? forget it. I don?t think that?s what a disciple is to do. So, my prayer again tonight is ? Jesus, let us hear You say ?come, follow me.? Last night I sat on the edge of a cliff overlooking the Carribean drinking Laphroaig and smoking a cigar and sharing stories with a friend about growing up. About 2 hours earlier they were showing me a Haitian Village that they built a few years ago that was in fair disrepair, I'll post a few pictures, but the conditions were terrible. The contrast is palpable. Odd that it strikes me here because I'm only 15 min drive away from this Village and it affects me, I'd sit at home and do the same thing and the Village still exists! Basically what I'm doing here is casing out the opportunity to volunteer the 'joneses' for the summer to come and help with an organisation called The Samaritan Foundation. I like that name incidentally. I like to think I would have been the Samaritan in the story. I worked for two weeks when I was 17 in a slum in Guatemala - it was intense and we slept in the 'church' building in that slum - it was a little rougher than where I'm sleeping here! 1. I was built for this kind of stuff. My mind is FULL of ideas and ways to help and things that can be done. Being tempered by the realities of the 3rd world and the expectations we westerns have with our modern upbringing, nevertheless - I was built for this. I can feel it in my bones. 2. I need the language. We can help a lot - but without the language it is going to be hard. Those are the things I'm sure of - here's what I'm not sure of....or maybe processing. 1. How to engage and make lasting differences to culture. This must be part of the thinking and it hasn't been the organisations prime goal - in fact not at all really - they have dealt with the first physical need. 3. I'm afraid. I'm afraid of bringing my family here. The Villages are easier, the city not so much - and the whole white thing stands out quite a bit! 4. Racism is alive and well in the DR. 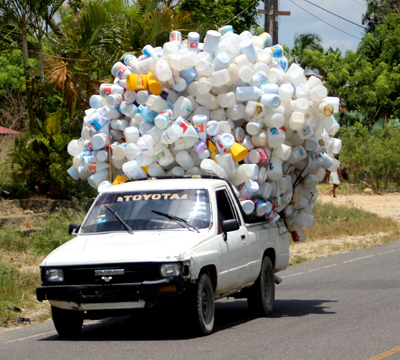 The Haitian Village doesn't receive garbage collection. The City just refuses to do it. 5. Bringing a family here for an extended period of time will be very different from going for 2 weeks on your own. 6. What does this mean for me long term - and for us as a family when we get back in the fall. 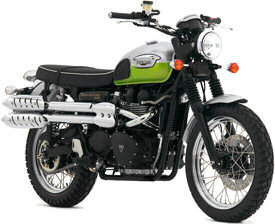 I have a goal for this year.....get my motorcycle license. This is a highly spiritual goal!